Preston Cages are a superAccess Box or multiple boxes assembled horizontally and or vertically to create a cage for multiple use, such as a man box, first aid cage, suspended cage or any other cage or box. The Preston Cage can be used in any configuration or to suit a particular requirement. 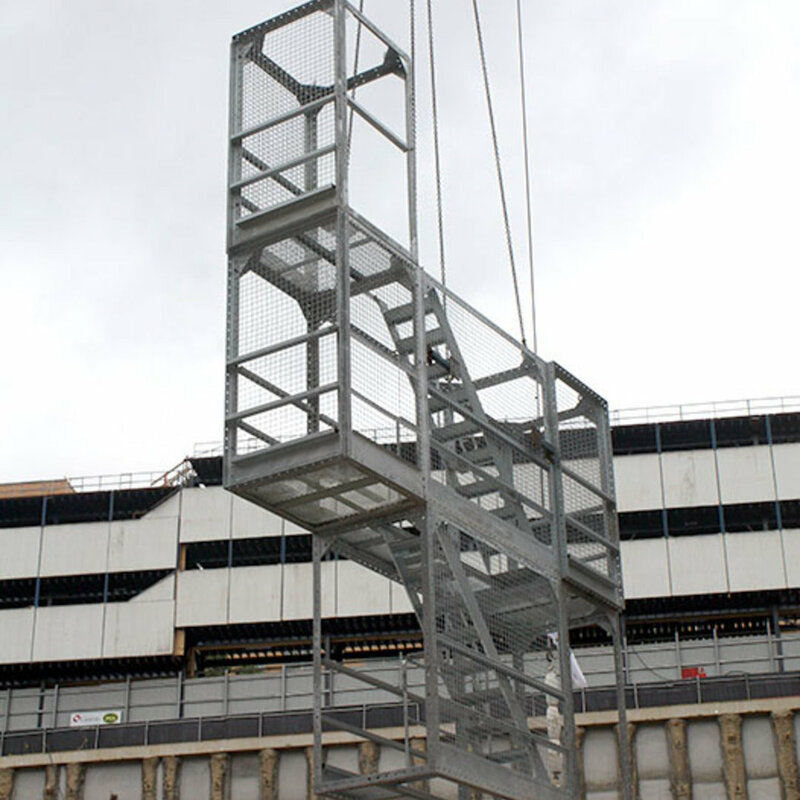 A single box or cage can be made up as a cantilevered access platform sitting on a roof to have access to the face of the building upward or downward. 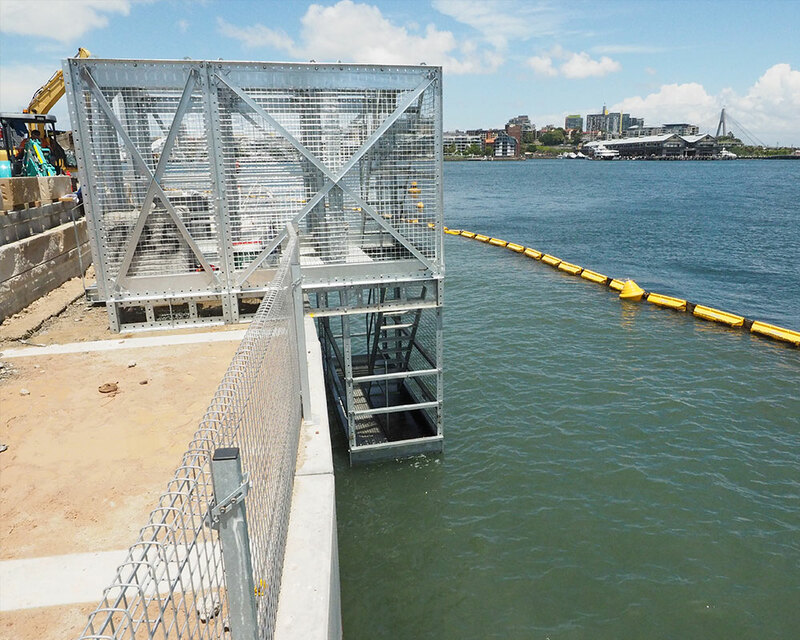 One such job was to repair a wharf, the moveable cage was suspended from the pavement and over the side to repair the wall on the wharf as the images on the right indicate. At low tide the suspended cage was above water. 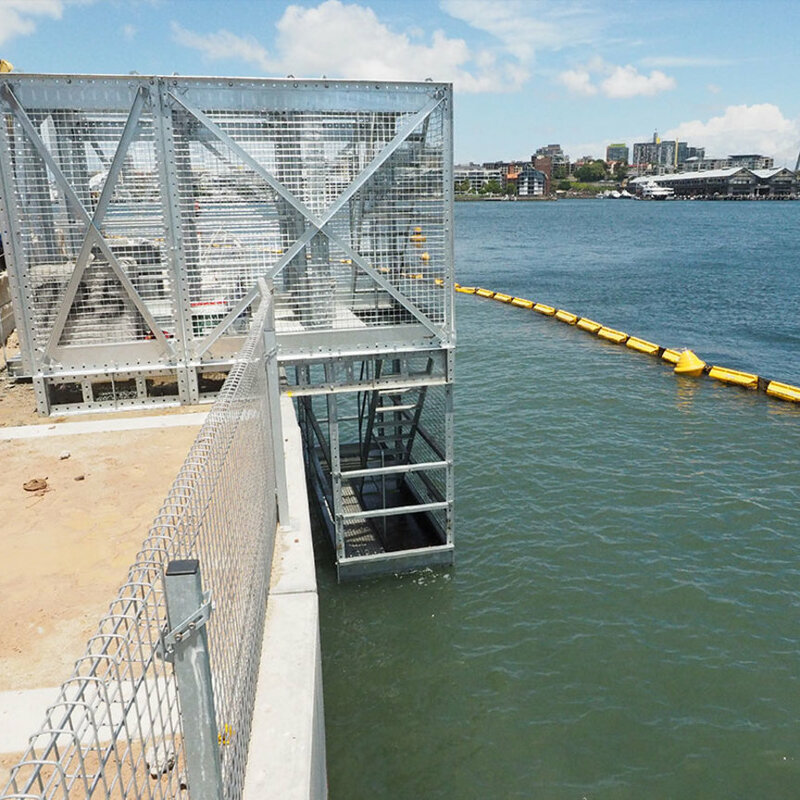 The whole cantilevered cage was moved by a crane in 15 minutes to the adjacent location to continue repairing the sea-wall. All Preston Products are Australian Innovative Patented Products worldwide. 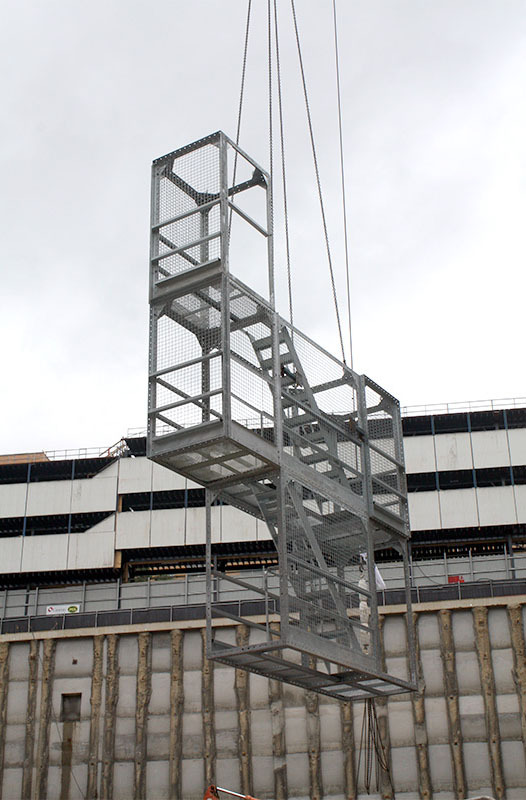 superAccess is a unique versatile and multi-purpose smart product designed for the future and improves current methods used in the industry as it is modular and pre-assembled OFF-SITE. superAccess Eliminates the Risk of Fall, increases safety and productivity, whilst reducing cost and time. FacadeFirst is a revolutionary new construction methodology for all buildings and car parks. This new methodology is the complete reverse of current practices. The new methodology is a Facade which is erected before the building floors are installed, eliminating many current unsafe, costly and lengthy practices whilst increasing safety and productivity.